Dr. Aparna Sethi is the founder of ‘Pro Touch’- a HR service organization which helps companies in training and developing talent. She comes with her expertise in designing and delivering training while also imparting career counseling. Dr. Sethi is also the Director of Pace Career Academy. Pace Career Academy provides skill and career enhancement certification programs in HR and Digital Marketing for corporates, working professionals and management students. A Doctorate in Management, Dr. Sethi has contributed to Competency-based HR as her area of research. 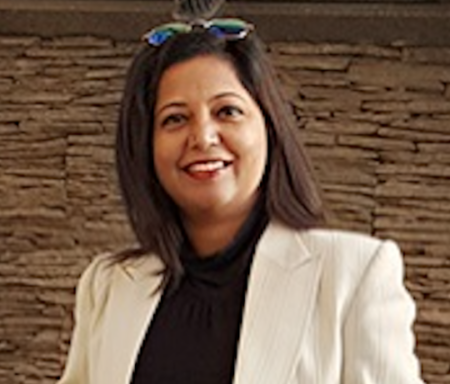 With MPhil in Management, MBA in Marketing and Human Resource Management from Pune University and 17th years of experience in Industry and Academics, Dr. Sethi brings with her an acute understanding of the domain. She has successfully delivered training programs in various corporates to mid-level and young executives. She has also designed and conducted a workshop in Hindi in the manufacturing industry. Her unique ability to connect with youngsters gave her opportunity to impart sessions in various institutes and universities. Participants have found her sessions extremely energetic and activity driven. She has the unique ability to connect with each and every participant. Her articles on Emotional Intelligence, Women Leadership, Work- Life balance has published in leading newspapers like TOI, Hindu, Business Magazines and Company Websites. She has to her credit more than 25 research papers in International and National journals. She is also on the panel of editors in leading publishing houses. She is married and a mother of a 13-year-old son. Her passion lies in networking, theater & running.